Hello All! 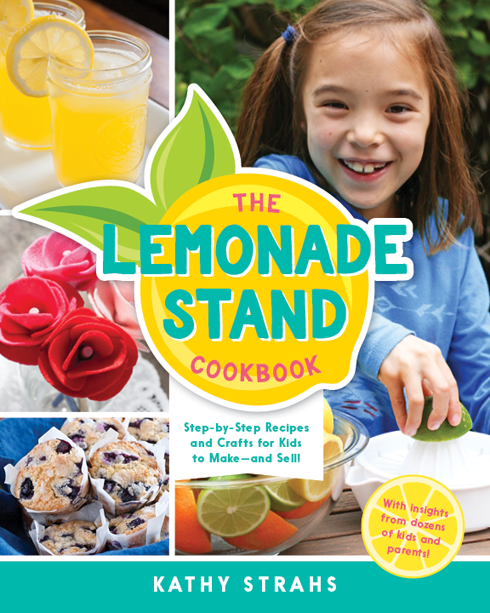 How fitting that my last post was about lemonade, because today I’m sharing with you my new cookbook for kids ages 6-12, called The Lemonade Stand Cookbook! 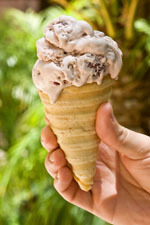 It’s all about empowering kids to get cooking, get crafty, and become entrepreneurs. The book just launched on Kickstarter (which means, it’s available to order) and I couldn’t be more proud of it. I hope you’ll consider picking up copies for your kids, grandkids, nieces and nephews or all of the above! 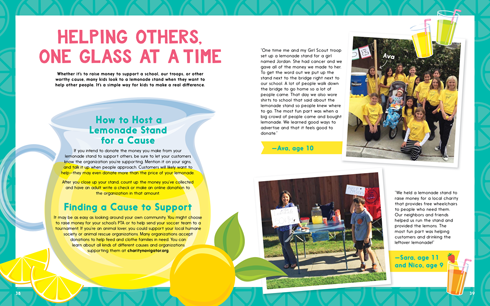 This is one of my favorite pages in book because it’s all about how kids can help others through a lemonade stand. I’ve got heartwarming stories from Ava, whose Girl Scout troop raised $1,000 for a friend battling cancer, and Sara and Nico, who raised money for people who needed wheelchairs. So inspiring! 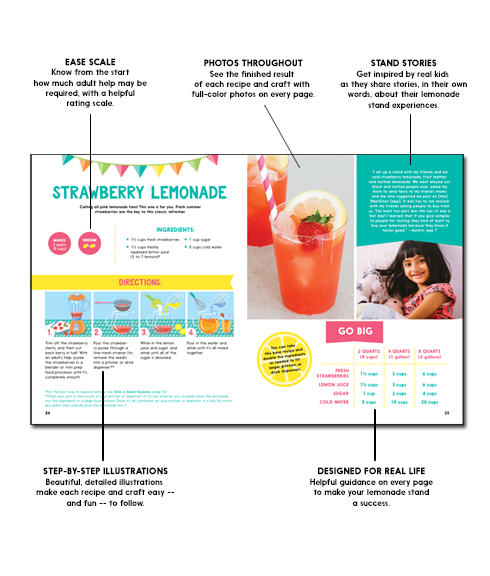 More than 50 kids are featured in The Lemonade Stand Cookbook, and more than 40 families tested the recipes and crafts. It has truly taken a village. Thank you so much for your support! Wow!! I won a copy of The Lemonade Stand Cookbook and it arrived today!! What an awesome book! 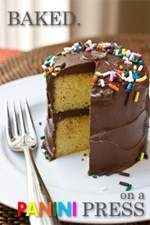 The recipes are fantastic, instructions are kid friendly and there are even fun crafts. I am buying copies to give as gifts to all my friends with kids. There are hours of enjoyment in this book. This was a definite bonus win for me. Previous post: Ginger Lemonade and a Celebration!